In this trip report I review business class on China Airlines B777-300ER. China airlines have ten B77-300ER aircraft operating on routes to New York, San Francisco, Los Angeles, Shanghai, Hong Kong and Frankfurt. 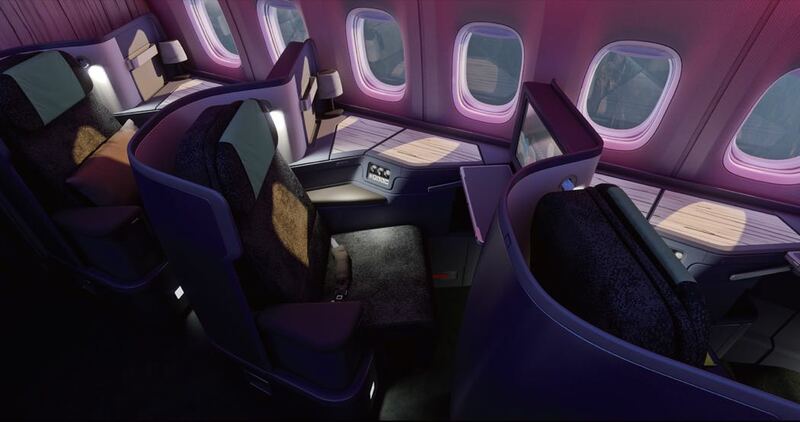 China Airlines also fly the A350 with a premium economy and business class offering. 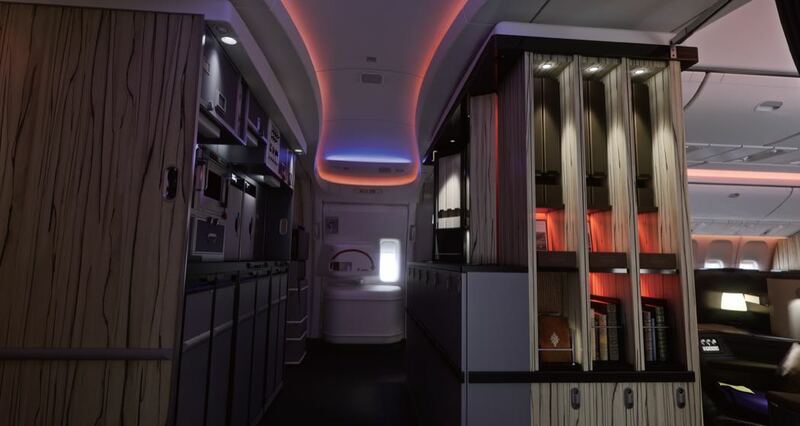 Whilst it’s easy to pick their new ‘Premium Business Class’ product as the true flagship product on the new aircraft, we are also attracted by their brand new premium economy class, which is phenomenal in its own right and for the price is one of the best business class minus products in the air today. This plane has three classes: business, premium economy and economy. Business Class is separated into two cabins by “The Sky Lounge bar”. 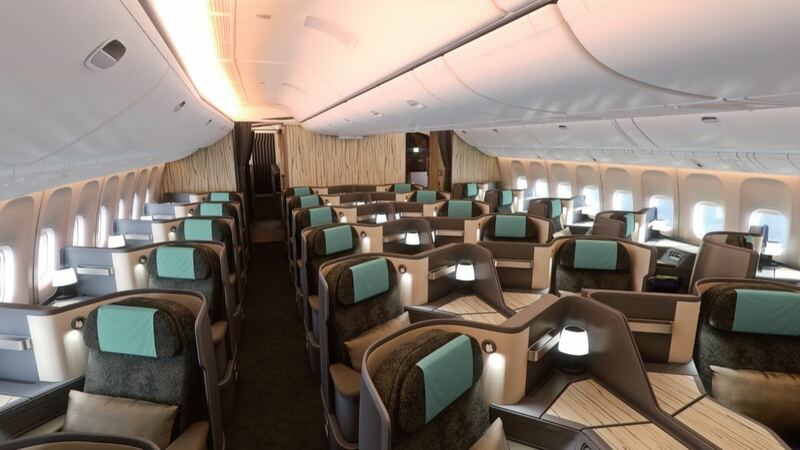 The front cabin runs from row 10 to 16 and the second cabin runs from rows 20 to 23 (there is no row 13). The seat layout is a 1-2-1 herringbone. The centre seats face slightly inwards and access to the aisle is good for all seats. There is plenty of storage space, the dining table is stored under the TV, whilst the handset, USB and power ports, a pair of slippers and an amenity kit (with comb, eyeshades and Acca Kappa products) are all hidden in a hole under the side table. A touchscreen panel above the armrest controls seat adjustment, there is also a table lamp and reading light. Each seat extends to a 198cm flat-bed, and its ergonomic design made it comfortable to lie on, in fact, this long comfortable bed is a reason to choose China Airlines in itself. The 18-inch touchscreen TV is linked to a Panasonic Ex IFE system, in Chinese, English and Japanese languages. A good set of noise-cancelling headphones were also provided. Portions on China Airlines in all meals were generous. Choices on my flight included smoked duck breast with quince chutney, a chicken soup with shiitake mushrooms and main dishes of fish, pork or duck. The wine list is also well selected. The Sky Lounge bar offers alcohol, teas, sweets, coffee and noodles throughout the flight. 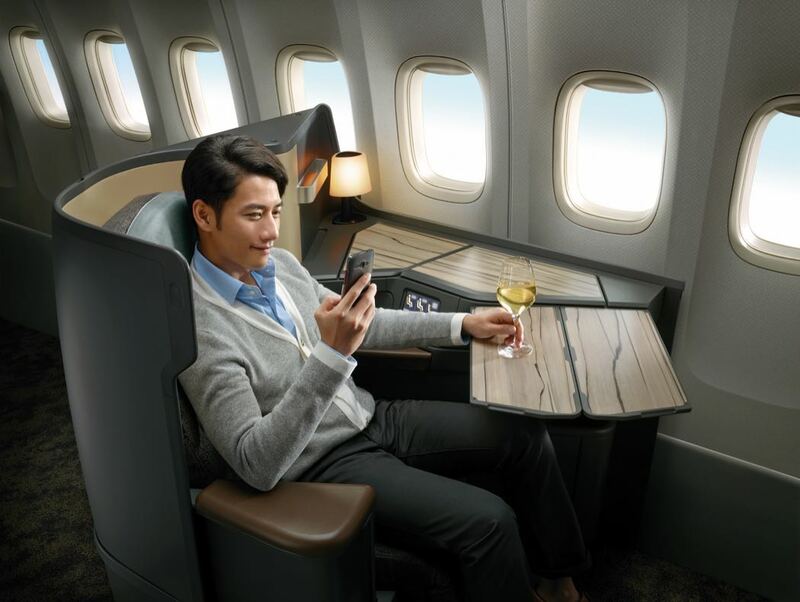 Wi-Fi is available on China airlines at a cost: one hour (US$11.95), three hours (US$16.95) and 24 hours (US$21.95). The long bed, good food with decent portions, friendly cabin crew, and Sky Lounge Bar make China Airlines a good choice when travelling business class. If you enjoyed this review you may be interested in my other China Airlines flight reviews.